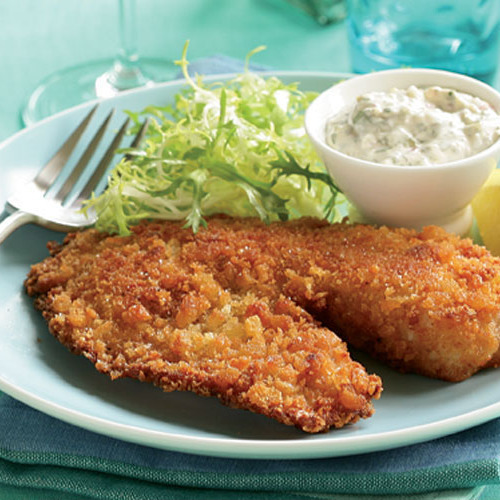 Pan-frying sets the coating and gives this usually mild-tasting fish a browned, crunchy crust and rich flavor. Fresh breadcrumbs make all the difference in the coating; learn how to make them in less than 30 seconds with bread you already have on hand. 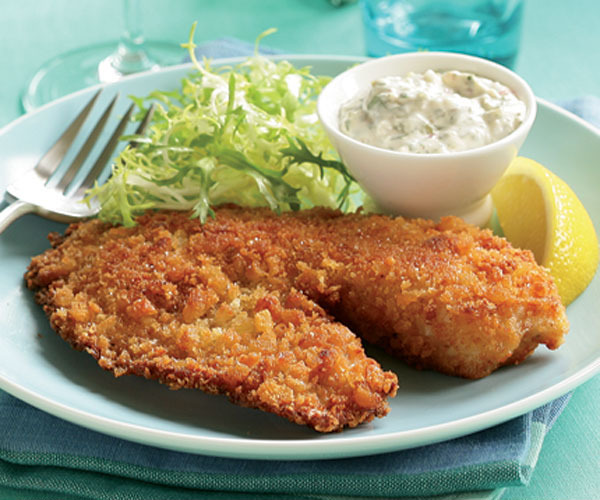 The classic tangy tartar sauce and a squeeze of lemon adds a final flavor boost. I did not have any breadcrumbs so I crushed up a sleeve and a half of Ritz crackers. This recipe was simple and taste great! Easy to make and very tasty! I typically don't like tartar sauce but I made it anyway. So glad I did - so much better than store bought. Definitely will make this again.